It only takes a couple of minutes to fill in the survey, so do it now while you have the chance. Just use the link below. See paras 110 and 112. The one thing Osborne loves to tell us, constantly, is that the future of energy production lies in fracking and that he will do everything in his power to maximise shale drilling in Britain, even to the extent of allowing drilling to be carried out on private land without permission. However this oasis of future riches has received rather a knock from the latest information in the US. It has now been reported that the top 15 players in US shale drilling have written off no less than $35bn since the boom started, and that investors are beginning to pull out. It has also become clear from the big shale basins in the US that production rapidly peaks, but then equally rapidly falls away. This has been the experience in all but one of the major shale-gas drilling regions in the US. The boom shows ominous signs a bust before too long. The energy industry’s narrative of plenty in long-term extractable unconventional gas has been proven wrong. Then there is another narrative of plenty, this time denying peak oil and insisting there are growing global supplies of affordable oil far into the future. This is now turning out to be equally flawed. The truth is that capital expenditure on finding new reserves has soared whilst at the same time discoveries by major oil companies has dropped, and is still dropping. In fact crude oil production, which meets some three-quarters of global demand, peaked nearly a decade ago in 2005. And third, there is a growing risk of carbon fuel asset stranding whereby policy-making on climate change, or the possibility of it, causes investors to abandon significant amounts of oil, gas and coal assets underground, unburned. Already some major financial institutions are starting to pull out of carbon-fuel investments. Other institutions are holding their investments in place for the moment, but are pressuring carbon-fuel corporations to rein back capital being expended on efforts to turn resources into reserves. That is bad news for an energy industry needing ever more capital to keep its narratives of carbon fuel plenty on track. Thus the fossil fuel industry likes to speak of the US becoming the new ‘Saudi America’ – a nation self-sufficient in oil and gas that exports to help allies in trouble, like Ukraine. This is a blatant myth: US oil consumption is 18.5m barrels a day, but its production is only 8.9m barrels a day. One wonders what part of that equation they’re going to export any time soon to save Ukraine and others from the clutches of Kremlin-controlled pipelines? Campaigners warn of potential conflicts of interest from energy-sector leaders advising on policy. The coalition may be promoting the controversial practice of fracking for gas because senior figures from that industry sit in the heart of Government, campaigners have warned. The former BP boss Lord Browne, Centrica chief executive Sam Laidlaw and BG Group director Baroness Hogg have all been accused of the potential for conflicts of interest, as they hold senior advisory roles at a time when the Government is heavily promoting fracking. This involves fracturing tightly packed shale rock with a high-pressure water and chemical mixture to release oil and gas. Cuadrilla, which is chaired by Lord Browne, is searching for shale gas in Lancashire, but suspended operations there in 2011 after its drilling was found to be the likely cause of tremors in Blackpool. The Government has signed up to the potential of shale gas after it transformed energy policy in the United States, despite severe criticism from environmentalists. Last month, George Osborne spoke of “tax and planning changes which will put Britain at the forefront of exploiting shale gas”. A recent report by the British Geological Survey found that the UK could have trillions of cubic feet of the gas in the North-west alone, but critics argue that it would be difficult to extract from deep beneath the ground even with modern drilling techniques. Anti-fracking campaigners and industry insiders are concerned that major energy-sector figures have roles that gives them access to ministers in Whitehall. Among those said to be worried is a top executive at EDF, who believes that the Government’s new-found commitment to shale has ended up hurting the French group’s negotiations over building a nuclear power plant at Hinkley Point in Somerset. There are more than 60 “non-executives” (Neds) who sit across Whitehall departments, largely drawn from Britain’s most impressive corporate talent. Their job is to help ministries be run in a more business-like manner, and Lord Browne is the overall lead for this group. Lord Browne sits within the Cabinet Office. The Cabinet Office minister Francis Maude’s constituency includes Balcombe in West Sussex, another area where Cuadrilla is drilling. On his website, Mr Maude acknowledges that fracking “understandably rang alarm bells” after the tremors in Lancashire, but argues that “shale gas could help significantly by contributing both to improving our security and independence and to keeping prices down”. Mr Laidlaw has been the lead non-executive at the Department for Transport. Centrica, which owns British Gas, recently bought a one-quarter stake in Cuadrilla’s most promising licence, which is the one in Lancashire. Baroness Hogg sits in the Treasury, but she is also a non-executive director at BG Group, which has extensive shale gas interests in the US. There is no suggestion of any wrongdoing by any of these advisers. Elsie Walker, a campaigner with the anti-fracking group Frack Off, said it is easy to argue that there is a “line blurred between the shale-gas lobby and Government”. She added that the Government is “littered” with people who have current or recent ties to the fracking industry. Ms Walker argued: “It doesn’t take a genius or a cynic to realise that those who stand to make a serious amount of money from the success of a particular industry should be nowhere near those who will be making decisions that will influence the future health of that industry.” A Government spokesman said: “All non-executive directors declare their interests to their departments to ensure there is no conflict of interest, and departments will make the necessary arrangements to manage any potential conflicts in the normal way. None of the Neds named sit on the board of the Department of Energy and Climate Change and therefore there is no conflict of interest.” Conflicts of interest? Lord Browne The former BP boss is chairman of Cuadrilla, which is exploring for shale gas in Lancashire and West Sussex. He is lead “non-executive” across Government, meaning that he helps recruit other non-executives to Whitehall. Baroness Hogg The non-executive for the Treasury sits on the board of BG Group, which has significant shale gas assets in the United States. Sam Laidlaw The non-executive to the Transport Department is also chief executive of British Gas owner Centrica, which recently bought a 25 per cent stake in Cuadrilla’s most promising shale gas prospect. Ben Moxham A former executive at BP when Lord Browne was at the helm, he followed the peer to Riverstone Holdings, which owns 42 per cent of Cuadrilla. Moxham was energy adviser at No 10 but quit in May. Lord Howell George Osborne’s father-in-law is also president of the British Institute of Economics, whose backers include BP and BG Group. The threat posed to wildlife by fracking is laid bare today as a new report identifies vast swathes of environmentally sensitive land across Britain that could be excavated for shale oil and gas. The land covers tens of thousands of square kilometres and includes thousands of sites such as Morecombe Bay in the North West, one of the most important areas in Europe for hosting wintering birds, as well as the North York Moors and the Thames Estuary. An alliance of wildlife groups including RSPB and the National Trust is calling on the government to establish “frack-free zones” across the country to protect areas of particular environmental importance. The proposed zones would cover a total area of about 42,000 square kilometres – or about 18 per cent of Britain. Some of them are already under threat from licences previously granted to fracking companies, some could be put at risk from licences due to be auctioned in a giant licensing round this summer, while others are not currently in any danger. The so-called 14th licensing round in the summer potentially covers about 40 per cent of Britain, although experts expect only a fraction of this will end up being licensed – at least this time round, as gas companies initially compete for the most attractive locations. An application to carry out fracking on the Fylde coast will be submitted to Lancashire County Council by the end of the month, said energy firm Cuadrilla. It said it was applying to drill, hydraulically fracture and test gas flow at up to four exploration wells at Preston New Road, Little Plumpton. It said it would also submit an application for its Roseacre Wood site “a few weeks later”. 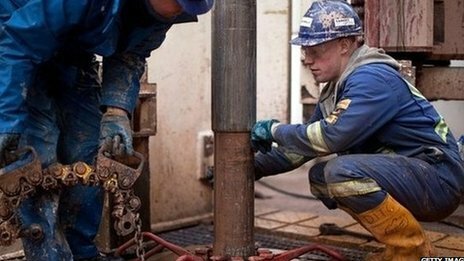 Campaigners say fracking is harmful to the environment. ‘Gas potential’The energy company said it had produced a detailed environmental impact assessment as part of the application. The firm said it was applying to install a network of “monitoring stations” within 4km (2.4 miles) of the Preston New Road site. Cuadrilla’s chief executive Francis Egan said the application could be an “important milestone for Lancashire” in unlocking its shale gas potential. He has estimated the market value of shale gas reserves in Lancashire at £136bn. Mr Egan said the firm had undertaken “extensive consultation and engagement” with local people. ‘Wall of opposition’Lancashire County Council said once the application was registered it would reach a decision “within 16 weeks”. Fracking – or hydraulic fracturing – is a technique in which water and chemicals are pumped into shale rock at high pressure to extract gas. Lawrence Carter from Greenpeace said Cuadrilla “could not have picked a worse time to push ahead with their drilling plans in Lancashire” and were “bound to hit a wall of opposition”. The technique was suspended in the UK in 2011 after fracking of shale gas deposits near Blackpool was linked to two minor earthquakes. A study by the British Geological Survey placed the epicentre for each quake about 500m away from the Preese Hall-1 well. A government report published in June 2012 concluded fracking was safe if adequately monitored. The company said in December no further work would take place at the site near Weeton. More than 1,000 doctors and other health care professionals are calling on President Obama to take steps to protect Americans from the risks posed by fracking. On Thursday, Environment America delivered a letter with more than 1,000 signatures from health care professionals that asked Obama to declare certain areas in the U.S. off-limits to fracking and to ensure that fracking is no longer exempt from environmental laws like the Clean Water Act and Clean Air Act. The letter outlined the dangers fracking poses to health and the environment, including drinking water contamination, carcinogenic air pollution, acute and chronic health effects, and greenhouse gas emissions. Previously, the directive was limited in scope to natural gas projects that extract at least 500,000 cubic metres each day. Many shale gas projects yield less due to the hydraulic rock fracturing process (“fracking”), and hence were not subject to an impact assessment requirement. MEPs have now voted to make environmental impact assessments mandatory, regardless of the quantity extracted, for all exploration and exploitation of non-conventional hydrocarbons (shale gas and oil, coal gas, et cetera). Lead MEP Andrea Zanoni (Group of the Alliance of Liberals and Democrats for Europe, Italy) was granted a mandate by 332 votes to 311 with 14 abstentions, to negotiate a first-reading agreement with EU ministers. Accordingly, Amendments 79, 112 and 126 have been made to Annex 1 of the EIA Directive. The aforementioned amendments involving fracking are part of a broader assessment of the EIA Directive. Described as the ‘jewel in the crown’ of European Union environmental policy in one European Parliament statement, it incorporates 200 types of projects within its scope and aims to ensure their environmental sustainability. Assessments of the impact of any given project are based on considerations of biodiversity, the use of natural resources, climate change and natural and man-made disaster risks. Shale gas could be fuelling British homes for the first time by late 2015, under plans from fracking firm Cuadrilla. The company is preparing to submit planning applications by the end of this month to frack at two sites in Lancashire next year. Francis Egan, Cuadrilla chief executive, said that, if successful, it planned to connect the test fracking sites up to the gas grid, in what would be a milestone first for the fledgling British shale gas industry. He also suggested homeowners hostile to fracking beneath their land should be entitled to only minimal compensation, if any. Cuadrilla hopes to gain planning permission for its two sites, near the villages of Roseacre and Little Plumpton, in time to start drilling at the end of this year. They could then be fracked next summer “in a best case scenario”. The EU authorities have opened a new front in efforts to clamp down on shale gas, warning that the carbon footprint from methane emissions may be high enough to call into question the whole future of fracking in Europe. The Intergovernmental Panel on Climate Change says methane is 86 times more damaging than CO2 over a 20-year period Photo: Christopher Pledger. “Methane is a much more powerful greenhouse gas than CO2,” said Jos Delbeke, director-general of the European Commission’s climate divisions. “The level of methane emissions tilts the balance for or against the development of shale: it is the central issue. We don’t want to copy and paste what happened in the US. We will do things differently in Europe,” he told the Daily Telegraph.